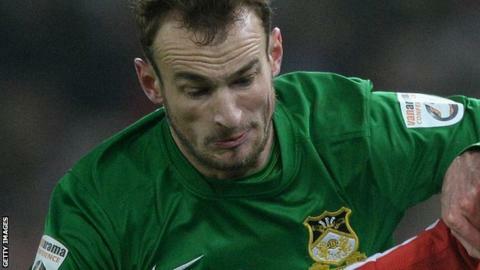 Wrexham progressed to the second round of the FA Trophy with a comfortable win at Tranmere Rovers. Wes York opened the scoring after good work from Dominic Vose, before Vose's powerful effort doubled their lead. Tranmere's James Norwood pulled one back just before half-time but Wrexham restored their two-goal advantage when Sean Newton tapped in after the break. Manny Smith headed in a fourth for the visitors before Norwood scored his second for a late Rovers consolation. "We knew it was going to be difficult but to come away and score four goals and we could have had a couple more. "I thought every player today did their job superbly. What we've done today will help us go forward in the league campaign. "We've got the belief that we can go and win football matches."